A delegation of the ruling Awami League visited Ramkrishna Mission in the capital on Friday following a recent death threat issued allegedly by militants to its head priest. The delegation, led by AL joint general secretary Mahbub-ul-Alam Hanif, held talks with principal of the Ramkrishna Math and Mission Swami Drubeshananda Moharaj and assured them of safety. Hanif told reporters after the meeting that the defeated forces of 1971 and BNP-Jamaat men are trying to create panic among people resorting to secret killings and issuing threats. “There’s nothing to be scared of,” he added. "Begum Zia's hypocrisy and recent statements supporting militants at iftar mahfils proves that they are involved in all secret killings and sabotages,” he said. Noting that it is the responsibility of the government to ensure security of all, Hanif said it has taken strict security measures after the death threat was issued to the Ramkrishna Mission priest. The other delegation members included AL leader Dr Abdur Razzak, MP, Shahe Alam Murad, Sujit Roy Nandi and local Jatiya Party MP Kazi Feroz Rashid. Later, Swami Drubeshananda said the AL leaders came here to assure them of safety. He also said the activities of the mission are going on smoothly. 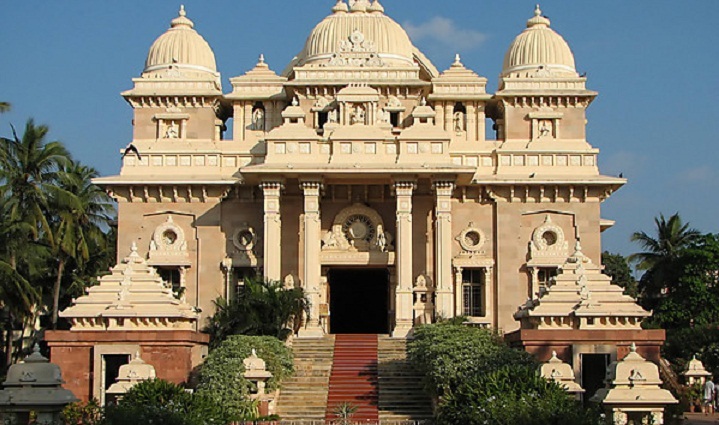 On June 15, a letter with death threat was sent to the principal of the Ramkrishna Mission.